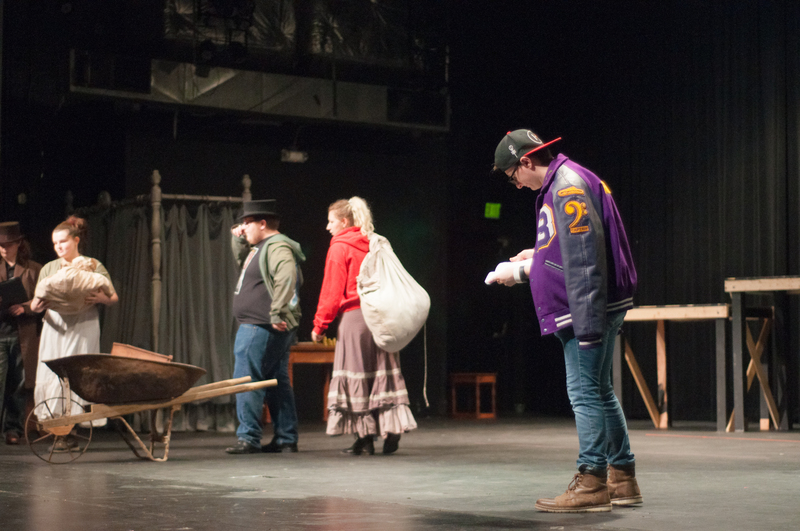 Cast members of "A Christmas Carol" rehearse in Wise Auditorium. Photo by Hannah Horton. 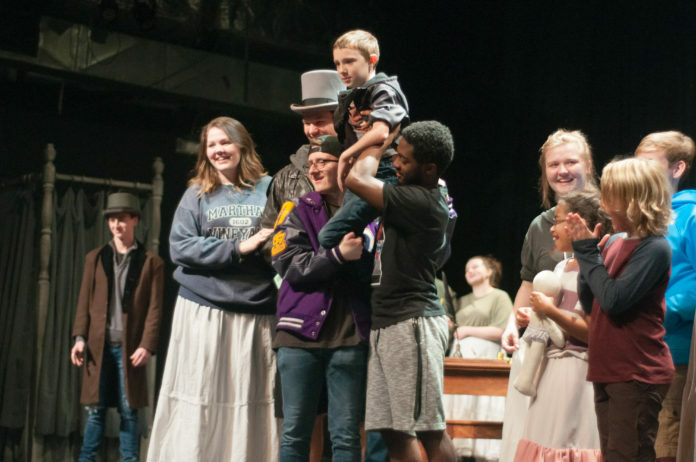 Cast members of “A Christmas Carol” rehearse in Wise Auditorium. Photo by Hannah Horton. Actors run a scene for “A Christmas Carol.” Photo by Hannah Horton. 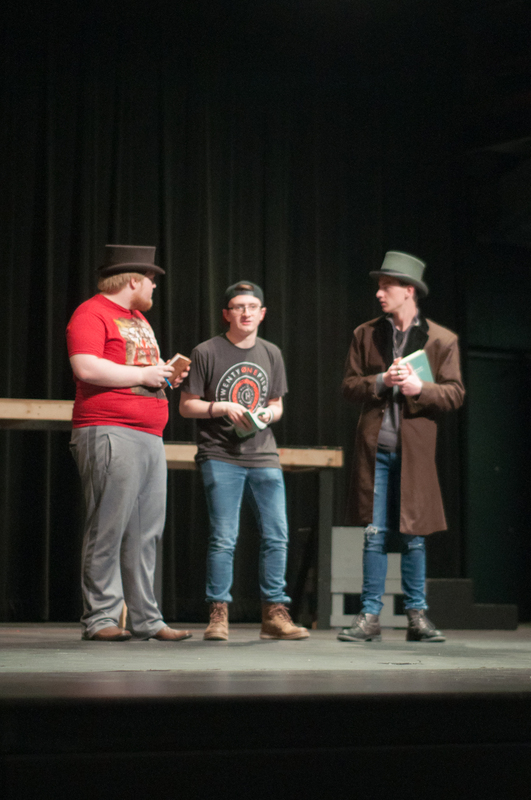 From left: Will Clark, Zach White and Will Brown rehearse “A Christmas Carol” in Wise Auditorium. Photo by Hannah Horton. 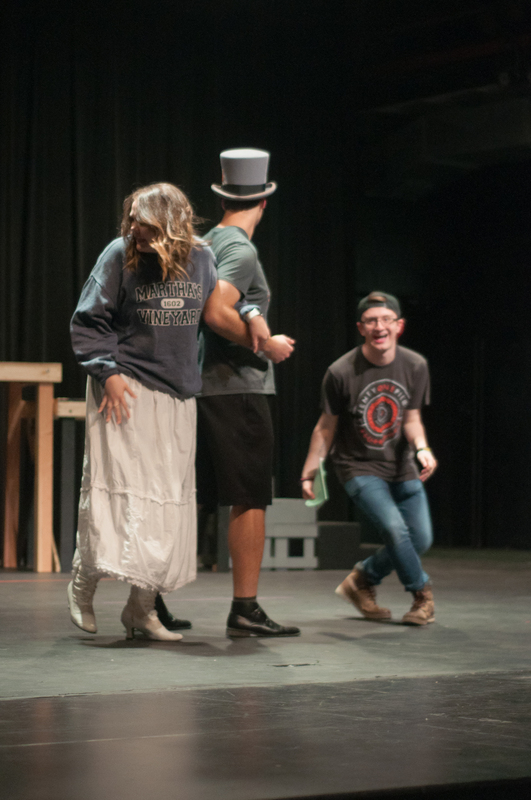 Hanna Odom, Austin Springer and Zach White during a scene in a rehearsal of “A Christmas Carol.” Photo by Hannah Horton. The script was adapted by Denise Weatherly-Green from the classic book “A Christmas Carol” by Charles Dickens. Weatherly-Green is also directing the play. Its stage management staff includes Assistant Director and Scenic Designer Tate Bivens, Stage Manager Nicki Dempsey and Assistant Stage Managers Tyler Baker and Colin Thomas. 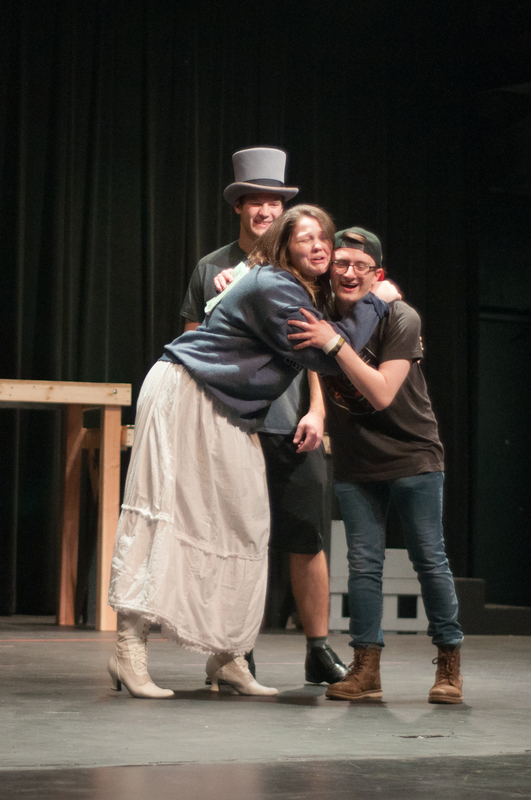 The cast features Sean-Riley Cunningham as Jacob Marley, Zach White as Scrooge and Bryson Chalk as Bob Cratchit. The crew members have their own set of challenges, including packed schedules. “I’m here everyday from 11:15 to 5:30, and then from 5:30 to 11 o’clock at night,” added Bivens. “I really selected it so that we could offer some Christmas joy to the community,” mentioned Weatherly-Green. Performances will take place in Wise Auditorium from Nov. 28 – Dec. 1 at 7:30 p.m. and on Dec. 2 at 2:30 p.m. Tickets will be available in the Box Office starting Nov. 19. Admission is free with TJC student IDs, $10 for adults, and $5 for seniors, students and active members of the military. A lot of hard work went into this show. I wish I could have seen it.